For decades, the Jeep name been synonymous with ultimate capability. To help you learn more about the Jeeps SUVs for sale in South Haven, MI, the product experts at McFadden Friendly Motors have taken a quick look at each model and highlighted the features in the page below. When you’ve picked your favorite model, be sure to find one that fits your budget in our online inventory, and then schedule a test drive online! If you have any questions, don’t hesitate to give us a call at (877) 589-6292 and we’ll be glad to help. Are you curious about how you can take home a new Jeep SUV? 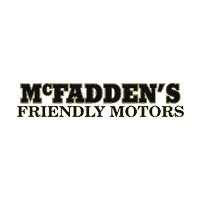 At McFadden Friendly Motors near Benton Harbor & St. Joseph, MI, our finance specialists will work with you to ensure you get the Jeep you want at a price you’ll love. Take a look at our special offers and factory incentives, and then give our team a call at (877) 589-6292 to kick-start your ownership journey today.